Every time I flash my loyalty card at the supermarket, the details of my purchases are added to a database, connected to whatever the company knows about me. In return, I am allocated a point for every dollar over $30 I spend. Each point represents about one tenth of one percent of that over-$30 expenditure. Cynicism is not my usual state of mind, but I’m finding it hard to resist its tendrils winding themselves around my neurons and threatening to take over. How can it be otherwise? The ‘gift’ that is the subject of this book was originally a very personal one. 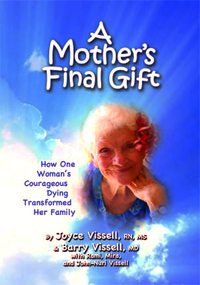 The authors, especially Joyce Vissell, have turned this into a gift to all readers of the book. Those readers who find their lives transformed by it, can perpetuate the giving. This is an important book for the information it provides. At the same time, it is poorly written and/or poorly edited. Let me get the negative out of the way first. Devra Davis is a scientist with a PhD and other written works to her name. I would have expected her to be clearer and more precise in her use of the English language and clearer in her logical exposition. I found whole paragraphs repeated in different sections of the book and, in some areas, gaps in explanations of important concepts or data. 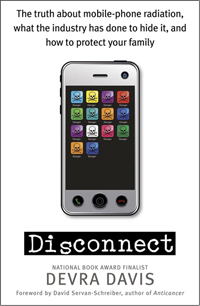 The irony in this is palpable: the disconnect of the title refers largely to the gap in what is known by the telecommunications industry and by governments and what is communicated to the public. Travel broadens the mind and tires the body, diminishes the bank account and enriches the soul. I’ve just returned from a tour of the length and half the breadth of Tasmania. Five days of pleasant surprises and revelations. What is the role of corporations in our society and what should it be? Is a company a person? Should it have the same rights and responsibilities as a person? What should be the relationships between corporations, ‘natural persons’ and governments? If you read acts of parliament, you will find the term ‘natural person’ used from time to time. This is designed to distinguish between flesh-and-blood human beings and corporations. Why is this necessary? Who would consider the two to be equivalent? One area where citizens’ freedoms are curtailed is in government-private-business contracts. There is a growing trend for governments to restrict public information about the details of arrangements it makes with businesses in the name of commercial confidentiality. It is understandable that businesses may not to want the details of their methods and internal economics to be made available to competitors. But is there any reason for those who are paying for a freeway (the citizens) to not be given details of the financial arrangements between a government and the company building a multi-billion-dollar road? Should we not know what penalties are to apply for late completion, or what arrangements are in place should a bridge start cracking after, say, twenty years?